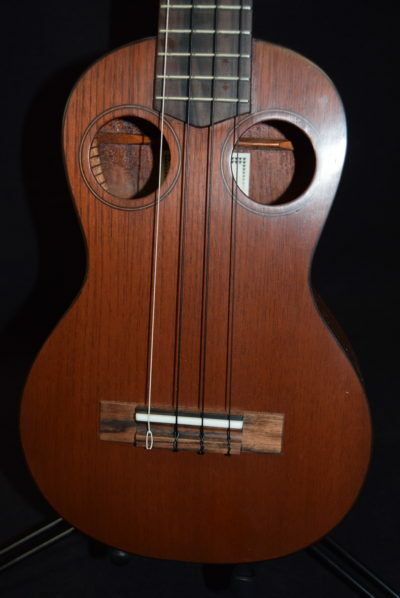 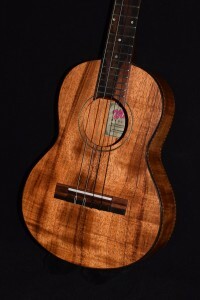 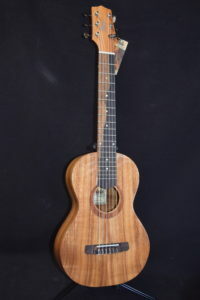 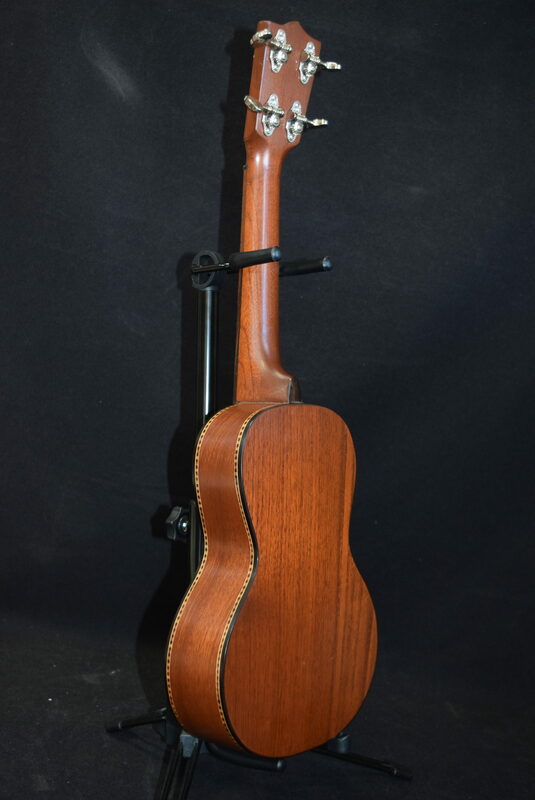 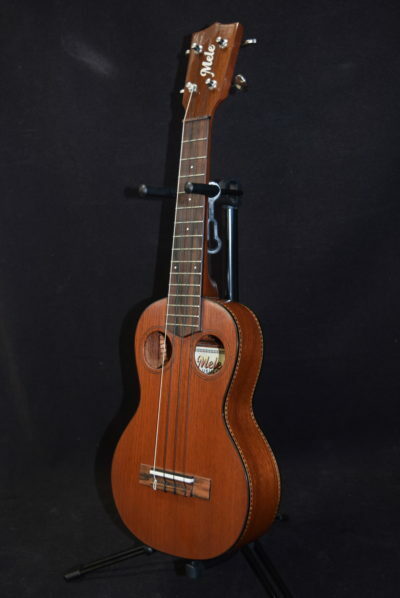 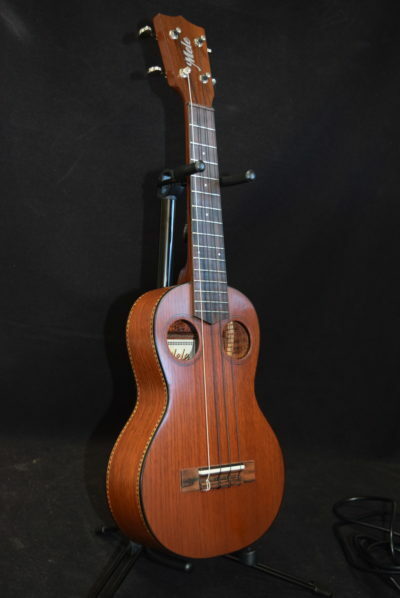 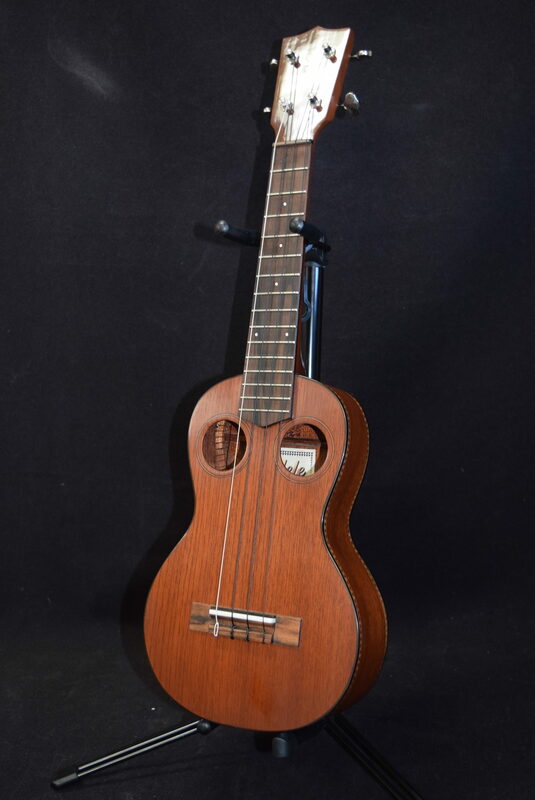 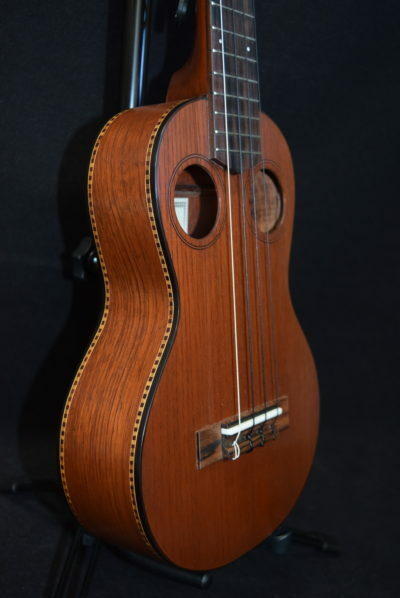 The Mele double-hole mahogany concert ukulele is identical in size, shape, price and materials to our single-hole concert-sized mahogany Mele, except for the soundboard design. 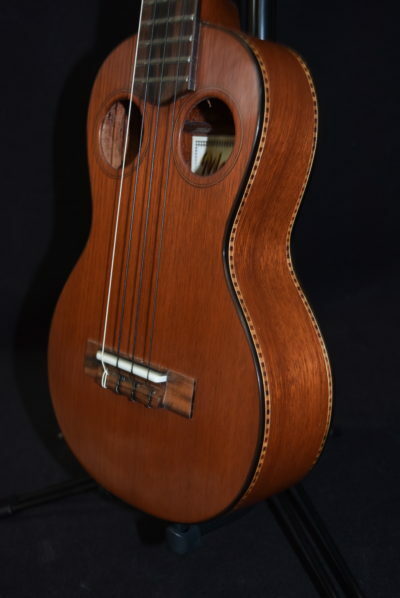 It is entirely hand-made out of solid mahogany and ebony woods. 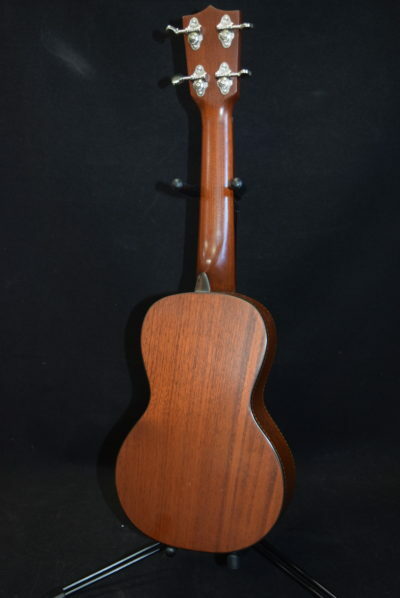 The two soundholes (sometimes referred to as “epaulet” soundholes) impart a slightly louder and brighter tone quality. 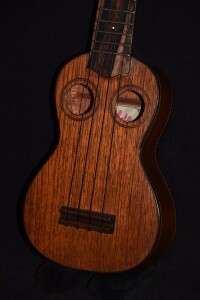 The double-hole design is quite popular here in Hawaii, due in part to its distinctive appearance. 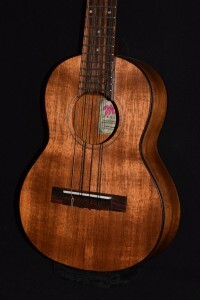 Any musician who likes a unique look and great tone will love this uke.